appreciate its wide range of beauty solutions. Andrea believes in delivering high quality to its customers, and therefore; its lashes are made up of 100% premium soft sterile human hair. Being lightweight, with subtle and fine bristles; these fake lashes add a striking finish to your eyes and accentuate their beauty. When worn, fake lashes remain on your eye line for the rest of the day until removed; but wearing them properly is not that easy. It is an art that everyone cannot master instantly. There are several questions that bother girls, especially new wearers about fake eyelashes. This post covers some of the most frequently asked questions about Andrea falsies. Read on to find your answers. · Is there a difference between individual lashes and strip lashes? Yes, individual lashes and strip lashes are two entirely different falsies. Individual lashes are separate hair bristles that can be added as per need. Usually, they are applied to the top of your natural eyelashes to give sweeping ends for volume and can be added where needed. On the other hand, strips are full length falsies that cover the entire eye line; giving a dramatic effect that can be easily customized from style to style. · When should I wear falsies; before or after applying makeup? There is no specified order for applying makeup and wearing lashes. But girls usually apply a base to their eyelids first, then apply the lashes, and finish them with the eyeliner and mascara. To make it appear natural, to conceal the dry adhesive and fill in any gaps, don’t forget to blend the strip line with the liquid liner along your upper lids. Darker shade liquid liner such as black, brown, or dark gray color are recommended. · Can I reuse my fake eyelashes? Definitely! Eyelashes can be used at least thrice, if handled with care. So, if you want to use them again, clean and store them properly. 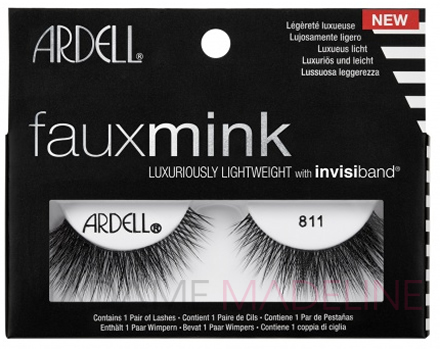 If handled correctly, they can be worn up to 7 times for human hair lashes. To clean and store the false lashes, use a q-tip and eye makeup remover to clean off any remaining adhesive, eyeliner, or mascara. Then store the lashes in the clamp shell packaging they came in. · How to clean strip lashes for reuse? Once the lashes have been removed from the eye line; use tweezers to remove the adhesive from their strip. Then, clean them with a non-oily makeup remover. This will ensure that the lashes are clean enough for reuse. · Do fake lashes cause any damage to natural lashes? If applied with precaution; following the instructions given, then falsies never damage your natural eyelashes. But they should be taken off carefully and should not be used for excessively long periods. Wearing falsies for days might affect your naturals. · Which Andrea lashes I should begin with? Andrea Modlash Strip Lash # 21 is a good option to start with. 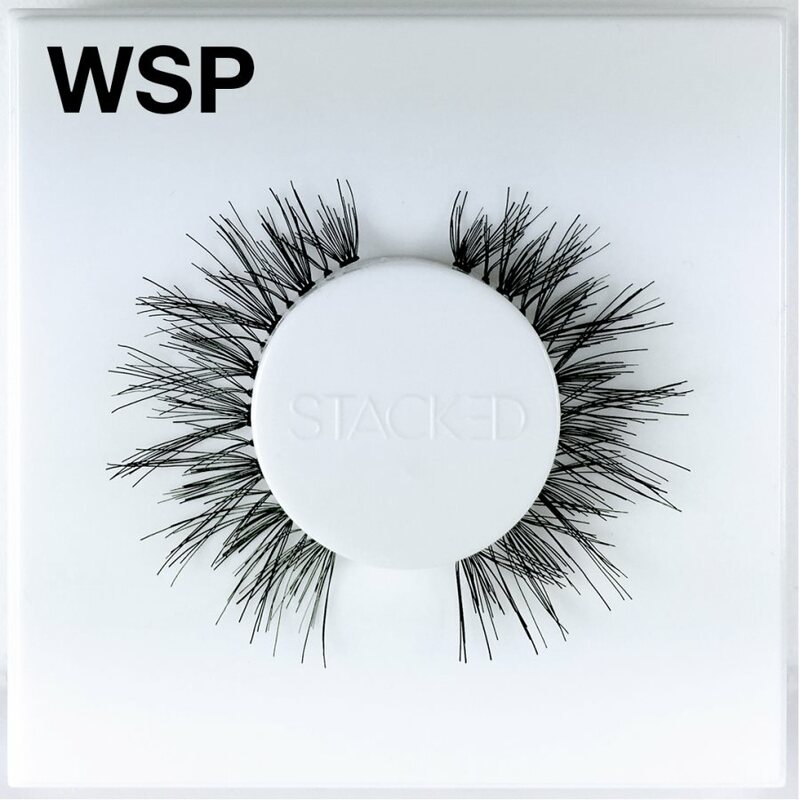 The simple reason for recommending these lashes, is that these falsies are mild yet, have a very attractive design that is suitable for both – late night hangouts and casual outings. These Andrea lashes add dimensions to your facial features and make you look more sensuous. Also, their application and removal is quite easy. · Strip lashes application tip of the day! It makes lash application easy when you cut them to fit. Cut the lash band right down the center or in 3 segments to create large individual lash segments. IThey are much easier to place than a full lash strip, which can become wonky and asymmetrical. Start with placing the lash strip from the outer corner first, hugging that lash line tight. For an eye-lifting effect, place the outer segment slightly above the natural lashline! · Where can I purchase Andrea fake lashes? Andrea fake lashes is available at Madame Madeline (www.MadameMadeline.com), Sally Beauty Supply, Ulta, Target, Walgreens, Rite Aid, CVS and other fine beauty retailers.